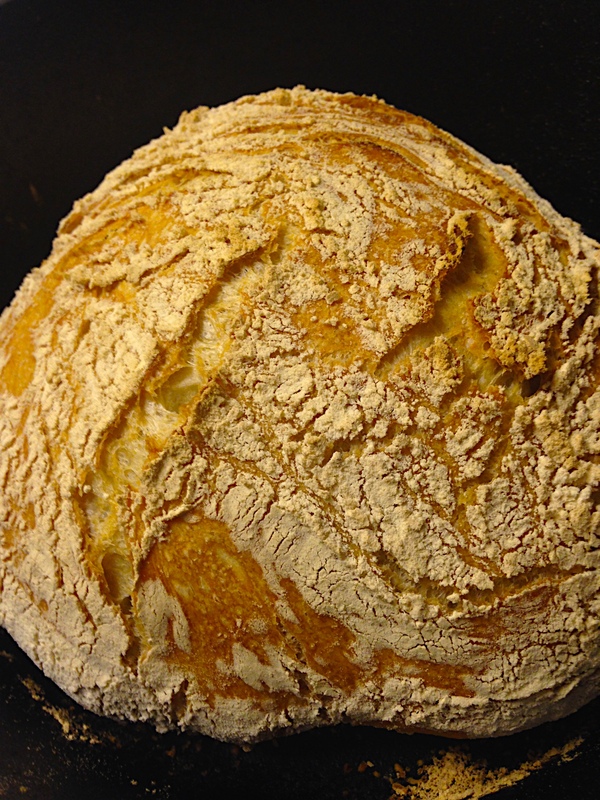 Dutch Oven Crusty Bread – One Half Indian. I have made bread before, but not for several years. I was nervous to get back into it and wanted to try an easy recipe. This recipe is seriously easy. It might take some practice to get the loaf size perfect (mine was not close to perfect), but it will taste good no matter what. And, the crusty outside makes it look beautiful even if it is misshapen. My bread was bit too floury on the outside in my opinion, and you can see the excess flour on the baked bread. The flour brushed off pretty easily though and did not change the taste. 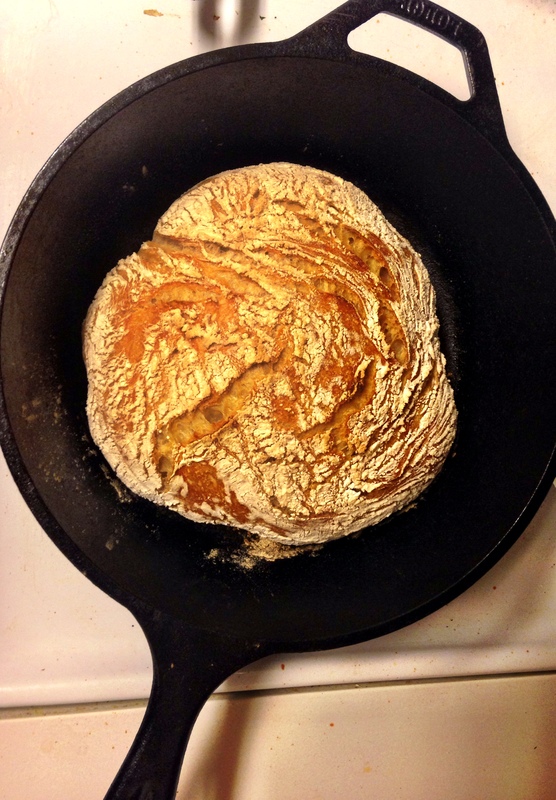 Most of the recipes I saw used a 5 quart+ enamel cast iron pan, but I used non-enamel 3.5 quart dutch oven. Much of my nice kitchen items (like my enamel dutch ovens, I miss my Le Creusets!) are still in Pittsburgh in storage from when I was traveling some before I got married. Sigh. Maybe I will have my nice things again soon. But, the non-coated dutch oven worked great. I think as long as you have a pan with a tight cover, it will work. There are lots of variations of this recipe online. My favorites are a cheddar cheese and jalapeno loaf and an olive oil rosemary loaf. In the coming weeks, I will try some variations of this basic recipe. 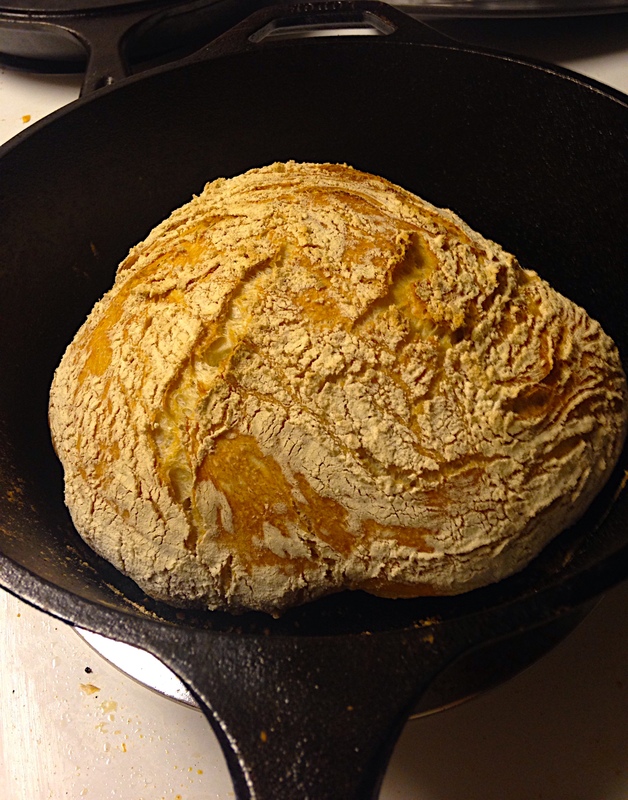 For now, here is the super easy dutch oven crusty bread recipe. 1. 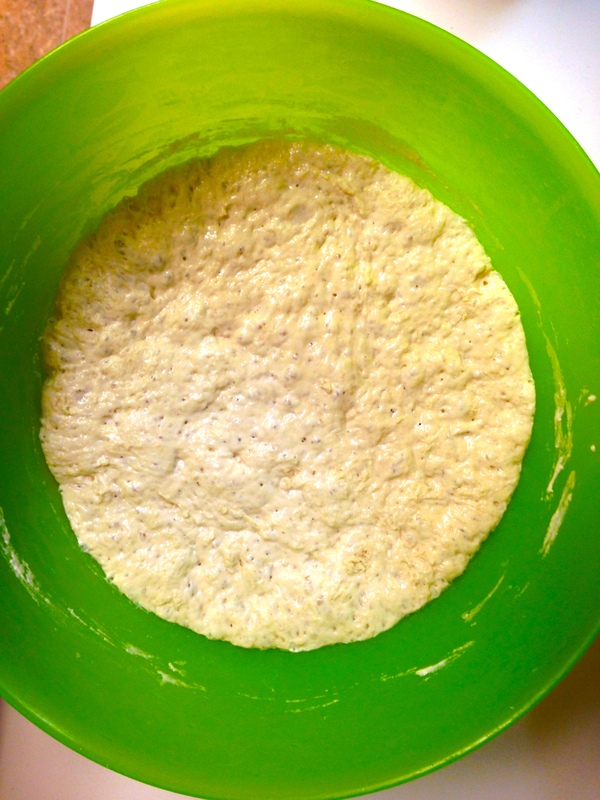 In a large bowl, mix together flour, yeast, and salt. Add water and mix until a shaggy sort of mixture forms. 2. Cover the bowl (I used plastic wrap) and let sit undisturbed for 12-24 hrs. 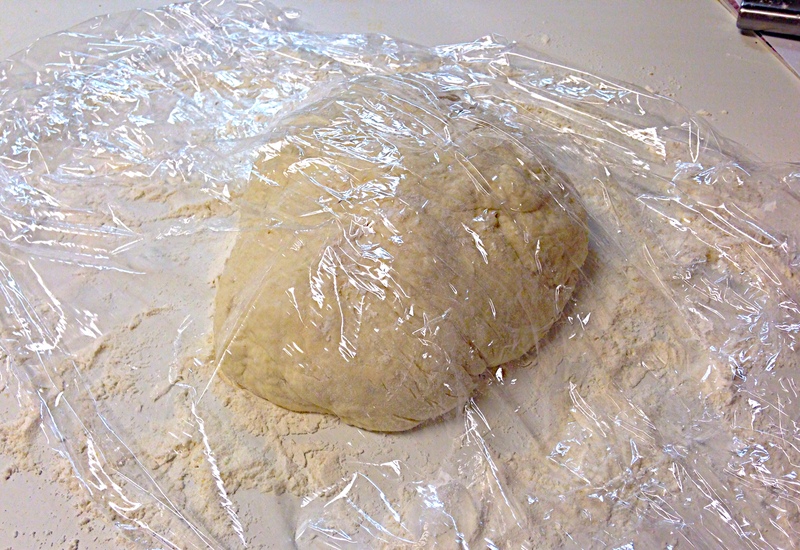 floured surface (but not too well floured or else it will get floury like my loaf). Shape the dough into a round bread-like shape and sprinkle a bit of salt on top. Cover again and let it rest until the pot is warmed. 4. 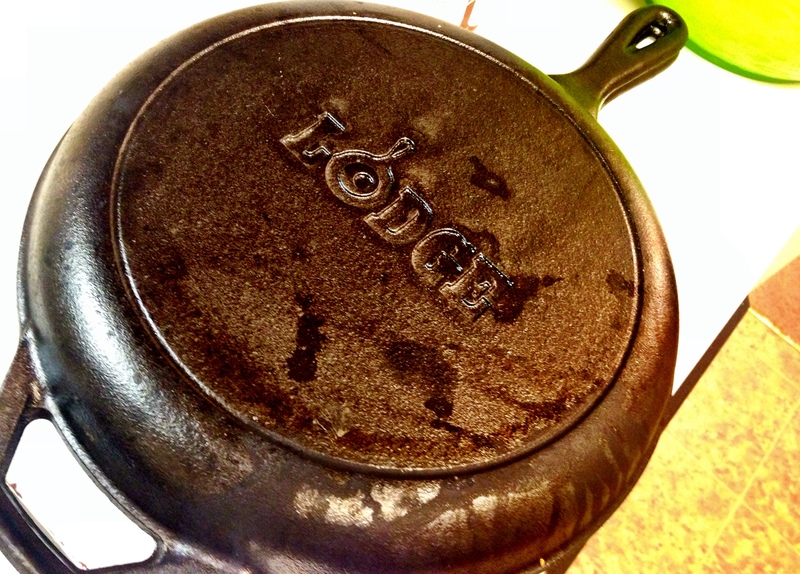 Take the dutch oven out and carefully (it will be hot!) place the loaf inside. You could make a light X in the top with a knife if you want (I meant to do this, but forgot). Bake the bread with the lid on for 30 mins and then take the lid off and bake for an additional 15 mins. 5. Remove the loaf and let it cool on a cooling rack (or on a cutting board if you’re like me and don’t own a cooling rack).